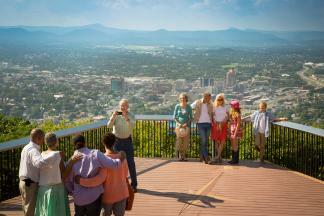 The Roanoke Valley in Virginia&apos;s Blue Ridge offers unique and affordable shopping for your group. 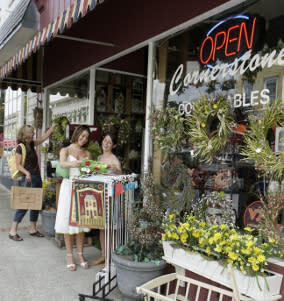 With our rich assortment of boutiques, antique stores, malls and specialty stores, your group will have plenty of opportunities to find the perfect souvenir or gift. Groups will also enjoy visiting our incredible farmers markets, which provide the opportunity to meet local farmers and artisans while also sampling a variety of locally-made goods and crafts. There are also numerous shops and boutiques in the region that feature items that highlight the Roanoke Valley and state of Virginia, including the iconic Black Dog Salvage from Salvage Dawgs on the DIY Network. From classic "Virginia is for Lovers" merchandise, to the perfect souvenir that helps symbolize your visit to the unforgettable Roanoke Star, you&apos;ll want to leave extra space in your bag for shopping in the Roanoke Valley. No matter what you are looking for, you can find it in Virginia&apos;s Blue Ridge. The following is a list of places where your group can enjoy shopping in the region. Follow Virginia&apos;s Blue Ridge&apos;s board Locally Made in Virginia&apos;s Blue Ridge Mountains on Pinterest.